If you're after a no-hassle meet and greet service at Birmingham Airport then this is the parking solution for you. Drive straight to the airport terminal vicinity where a chauffeur will greet you at a designated meeting point - simply take your luggage and head into the terminal building while the chauffeur parks your car in a nearby compound. The car park is manned 24 hours and is protected with high perimeter fencing. This is the ideal parking service for customers who require any extra assistance. This service operates 24 hours a day, throughout the year. On return there is a fee of £1 to exit the drop-off zone at the airport. On return the maximum stay is 10 minutes, if this is exceeded you will have to pay an additional fee. Once in the airport follow signs for Short Stay Car Park 2 & 3. Enter the Valet Parking Car Park, which is just before Car Park 3. If you’re using a sat-nav, enter the postcode B26 3QJ. 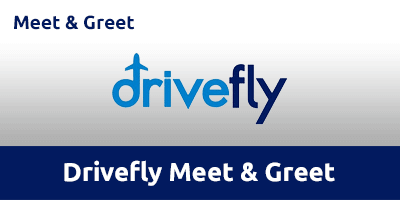 Drivefly will call you 20-30 mins before your arrival time – if you haven’t received a call, contact Drivefly 15-20 minutes before arriving at the airport. Head to the Valet Parking Car Park. Take a ticket at the barrier and enter the car park – be sure to give the ticket to the awaiting driver. Park in bay 25, 26, 27, 39, 40, 41, or 42. A Drivefly chauffeur will meet you. Head to the check-in desks while the fully insured chauffeur parks your car in a nearby Drivefly compound. Collect your luggage and clear customs and then call Drivefly to let them know you have arrived. The chauffeur will deliver your vehicle to the agreed pick-up point – the same point you dropped your car on arrival. Grab your keys and continue your journey.